Ssharad Malhotra is a true gentleman, a man who greets you with his smile and always talks with genuie affection and bonhomie. 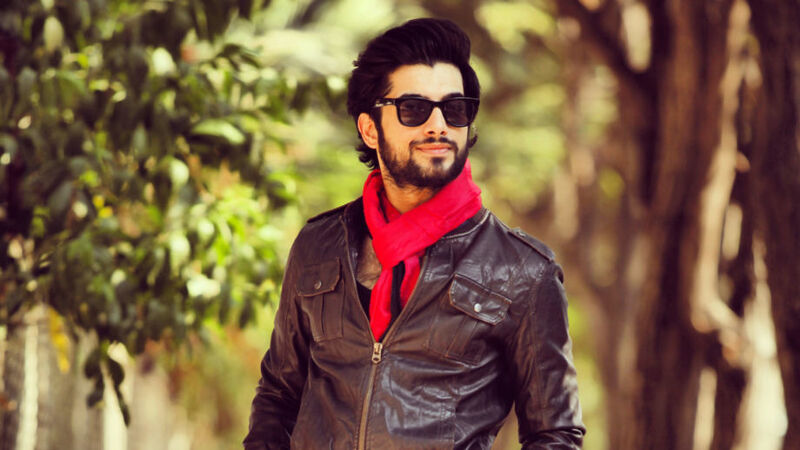 After entertaining one and all with his mentally challenged role in Banoo Main Teri Dulhann, Ssharad has continued his march into his fans’ hearts with strong portrayals in shows Maharana Pratap and Kasam Tere Pyaar Ki. It’s been a superb journey, my first with Balaji Telefilms. I had heard it is a very good production house in terms of payment, creativity and professionalism. 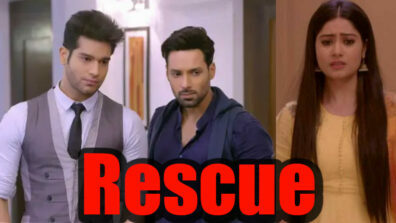 Trusting Ekta Kapoor with her creative instincts, and her brains, I have come a long way. She is the Queen of TV; she knows the pulse of the people. She is an intelligent and a smart producer and a very good writer. I remember when I met her for the first time for Kasam, she gave me a narration and I was amazed. When you have a producer getting so very involved, it is a different story altogether. The involvement from her end has always been high and most of her shows are doing well. I am having a great run. As an actor, what is your forte? I feel it is romance. But I just discovered through my fans recently by their messages and mails that they actually cry when I cry. I did not know that till I was told. This has been happening a lot with Kasam. So I would say that the tragic element is also working for me. So I would not want to categorize myself, but yes, the romance and tragedy are my forte. Tragedy, in fact, helps me to connect with the people. And it is always important to connect to your fans. So it is a bit of tragedy and romance. Did you enjoy the phase of being part of a historical show better or do you find the drama series more interesting? Honestly, I loved doing the historical. Maharana Pratap was the greatest warriors ever seen, and after reading about him in school, it was an honour to play the character on screen. I actually got to know later that amongst the 600 people short listed for the role, I was the lucky one to have bagged it and it was indeed a dream come true. I would not mind doing a historical again; it is a larger than life field. It is very physically tiring in a historical show. So considering the physical endurance, it takes a big portion out of you. But it also gets you a new high when you do challenging sequences under trying conditions. So I would like to do another historical or a mythological show. After a huge break in Banoo Main Teri Dulhann, you got back to TV with Maharana. Now after two shows, are you happy and contented about your decision to return to TV? I have always been happy with the kind of roles I have done. I have no regrets at all, both personal and professional. I came to Mumbai as a zero, but with a dream. The kind of love and adulation, appreciation I have got, has been phenomenal. I have seen my fans getting depressed, happy, crying etc. The messages and mails they write are really unbelievable. So when I sit and think about it, it really gives a ‘wow’ moment and is very unreal. I have had the most beautiful ten years of my life. Having said that, my work life has been wonderful, but I have stayed away from my family which is in Kolkata. So I have given all the 10 years to my work. I have been living by myself; my family, especially my mom misses me a lot. I do not have a family life in Mumbai; I am a loner. I have a staff and a dog, and that’s all I have. Yes it looks colourful and rosy, but I have nothing. It is important to have a family and my family is back home in Kolkata. My parents miss me a lot and I too miss them. My parents will never come to Mumbai and shift base. So it is very difficult to uproot them from Kolkata and ask them to settle here in Mumbai. My mom is busy into social service and my dad is busy with his work. So that lacuna has always been there. This is the only thing I regret, but otherwise life has been great. How has TV changed from the days of your Dulhann to now? What have been the pros and cons? TV has evolved and how!! TV has grown and is one of the strongest mediums. It is booming and has got more experimental. Shows that are different are creating a mark. For me, TV was my first love and I will continue to be part of it. Yes, I have tried out with films too. But I am always open to TV. If I get a good film, I will do it, but I am open to TV. Today we have the biggest of stars from Bollywood, starting from Amitabh Bachchan, Shahrukh Khan, Salman Khan connecting with TV. It is no more an ‘idiot’ box, it is actually the ‘smartest’ box we have today (laughs). TV is massive and is all over the globe. How is your off screen rapport with Kratika Sengarr? I have done a short film with her earlier. She’s a very spontaneous actor, comfortable and we have a great off screen rapport. The best part is that she has no pretence; we talk it out. She is a very intelligent actress; she will not do a scene because she has to do the scene. Also she is a very natural actor. Touchwood, people love our chemistry, and our jodi has recently won an award too. So all is going good. 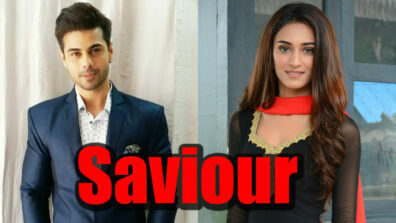 How was it to work with Shivani Tomar? She’s a very beautiful face, but maybe a little new. She’s into her grooming phase and surely will go on to do well. She is one of the most polite girls I have ever seen. She’s a very soft spoken girl and I am sure with age, she will evolve into a very good actress. I have had really nice co-actors to work within the past, be it Divyanka (Tripathi), Rachana (Parulkar), Kritika (Sengarr) or Shivani (Tomar). Thanks to all my leading ladies, they have been fantastic. How has life treated you after your personal relationship setback? Yes, it took me some time to come out of it. We are humans. Life is all about moving on, learning from mistakes, and committing mistakes too. If you are a human, you will make mistakes. I made lot of mistakes. Today I have learnt from them and it has helped me grow as a person. I have had no regrets; if there was a setback, it really hurt me a lot. It is usually said that when a break-up happens, the man is at fault. I am sorry, but I beg to differ. You cannot clap with one hand. There is no smoke without fire. I give her all the respect; she is a great girl and beautiful woman (talking about Divyakna Tripathi). Some things are meant to be and some are not meant to be. I have been mature enough and wish her the best in life. Today, people tell me that I handled it very maturely. 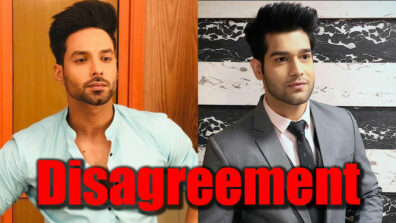 Are you dating Pooja Bisht? Yes, I am dating Pooja. But I appreciate it if I am allowed to focus on my work. When the time comes, and when I think I need to let people know of it, I will. I have been a very open person. But all by now know that I date her. So be it. What do you think of marriage? I am not adverse to the idea of marriage. But it is very important to mentally understand and believe that it is a beautiful life-long relationship. When I know that I am ready for it, I will be the first to tell. It is in the mind, but I am still not ready for it. Do you think God helps people with a second chance when it comes to love? Why not!! Love is something which can happen any time. Love is like a lightning that strikes you anytime. So be open to it. I have always been open to love; more than lust, love is important. It is important to have that physical proximity, but it does not last long. What lasts is the understanding, warmth and care. Yes, God does give you a second chance. When do you want to settle down in life? I am not sure right now. It could be tomorrow, after a year or in two years. And as I said, I will announce. See, marriage takes time. As of now, I am too busy with so much happening. At the moment I am under a contract for my show. There are lot of things in pipeline. I want to write and also want to produce. You have always been a mama’s boy? Has she not been pestering you to marry? I am a typical Punjabi boy, so you can guess how it is in a Punjabi family. Yes, I am being pressurized, but I have told them that I will take the plunge when I am ready for it. I will never let them down. I have always tried not to hurt my parents and they are proud of me. I have tried not to doing things that get them ashamed. Till date it has been great. They are happy having me as their son. I want to continue being the same (smiles). What is the kind of rapport you and Divyanka share now? Well, we have not spoken in the last year and half. If we do bump into each other, I hope we exchange smiles. Have you met Vivek Dahiya? Yes, I remember once I think we were shooting in the same compound. I don’t know him personally. I was talking to a person standing outside when he passed by. He stopped and smiled at me. I too smiled back. He comes across as a nice guy. How do you react to too much of media glare and personal controversies? It used to affect me earlier. But in the last 10 years, media has known me really well. Now media guys are more like a family. I am friends with all the media guys coming on my sets. When something is written about me, I tend to laugh it off. After all, they need masala for their work. They are doing their job. As I said, my parents are really proud of me, and I will never let them down. In this industry, spice sells and I am fine with them doing their job. Moving ahead, what are your plans for the future? As of now, there is a short film that I might be doing as an actor. I am working on another short film which I might direct. I am writing something too, but it is not ready at the moment. What keeps you away from reality shows? I am very happy in my bubble, my own world that I have created. Reality shows can get nasty at times and I am not fine with the idea of getting nasty or doing anything inhuman. I believe in being happy and spreading the happiness around. I was part of a reality show earlier. It was good, gave me a lot of money, fame and fan following, but it was not a pleasant experience. I was not happy as a person when I did it. Maybe if a time does come when there is a need to do reality shows, I will take it up. However, that will certainly mean that I would be going out of my comfort zone. What is your take on naagins, daayans ruling ratings charts? They are kind of very exciting. It is a make-believe world and people have certainly not seen men turning into nags or bears. The kids and families are enjoying it. It brings in entertainment value, it rakes moolahs and brings in TRPs. Ekta is very smart; she has a show like Kasam pulling in the crowd and she also has a Naagin. There is no formula to success. I would definitely not mind playing a Brahmarakshas if people will enjoy it (smiles). Who is your close friend from the industry? I don’t want to take names. But I have very less number of friends from the industry, but really good friends. The best part is that they don’t happen to be actors. I am very friendly towards the technicians. My best friends happen to be cameramen, directors etc. I will have hardly one or two actors as friends. Do you believe you can have confidants in this industry? I don’t think so. Trust for me is a big word and it does not develop overnight. This is a very competitive industry. I am not saying that all people around are there to harm me. But trust takes years to happen. And in the 10 years I have been here, I have one or two of them. I don’t trust people easily. How has your movie journey helped you as an actor? The experience has been great. Agreed, my movies might not have been big hits. But I have had an amazing journey. I have worked with some great technicians. I have made some special friends from my movie journey. How different is working for movies and TV? Which do you prefer the most? My first love is always TV. But if I get movie offers, I will be part of it if the director of my choice is part of it. I will love to work with Sanjay Leela Bhansali Vishal Bharadwaj, Anurag Kashyap, Rajoo Hirani, Neeraj Kamat, Karan Johar. I regret not working with Yash Chopraji. The rest of them are very much welcome (smiles). Any big screen project in hand at the moment? Talks keep happening. But I cannot do anything now, as I am into a contract. Do you watch the works of your competitors on TV? I don’t watch my own work. So I hardly get any time to watch anybody else’s. Who is the present age actor you are highly impressed with? The one actor who I am impressed with is Ronit Roy. He has evolved and grown as an actor in the last 10 to 15 years. He is a very mature actor now. I love the way he carries himself and portrays characters. Media reports state that you are a Casanova. What would you want to say about it? (laughs) I don’t really know the definition of being a Casanova. I am certainly not a party animal. But I like going on drives, going with friends for coffee dinner, movies etc. So it is a healthy get-together. I get along with women very well when compared to men. It comes naturally to me. So I cannot help it if I have a lot of girls as friends. I love them a lot. They have loved me a lot, and given me so much love in these 10 years. The kind of adulation and appreciation I have got, considering the fact that I came to Mumbai from Kolkata has been huge. They have tolerated me with all my mood swings, my good and bad. I did not work on TV for 3 to 4 years. But the manner in which they stuck to me and loved my unconditionally has been great. I owe everything to them.